1. In a small cup mix equal quantities of oil and ghee. Keep aside until required. 2. Mix the flour, bananas, 2 tsp ghee, sugar and salt in a bowl. 3. Add enough water and knead well to a pliable dough. 4. Make small balls of the dough and roll them out into small/medium chapatis. 6. 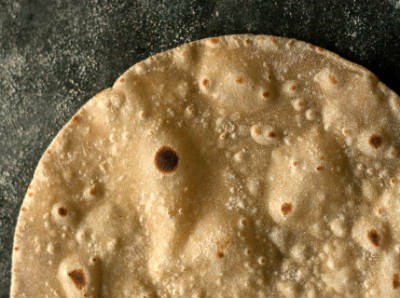 Cook the prepared chapatis on both sides adding the oil-ghee mixture around the edges. 8. Best served with mixed fruit jam. 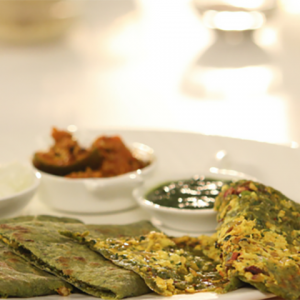 Feel free to comment or share your thoughts on this Banana Chapati Recipe from Awesome Cuisine.